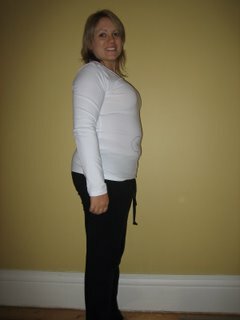 Here's the first of many photos showing the growth of Naomi - or more to the point - the growth of the BB inside Naomi. At this point, it is obvious to us that the weight is being put on quite differently to normal. It must be obvious to others too, as Nai was offered a seat on the train the other morning. YAY!